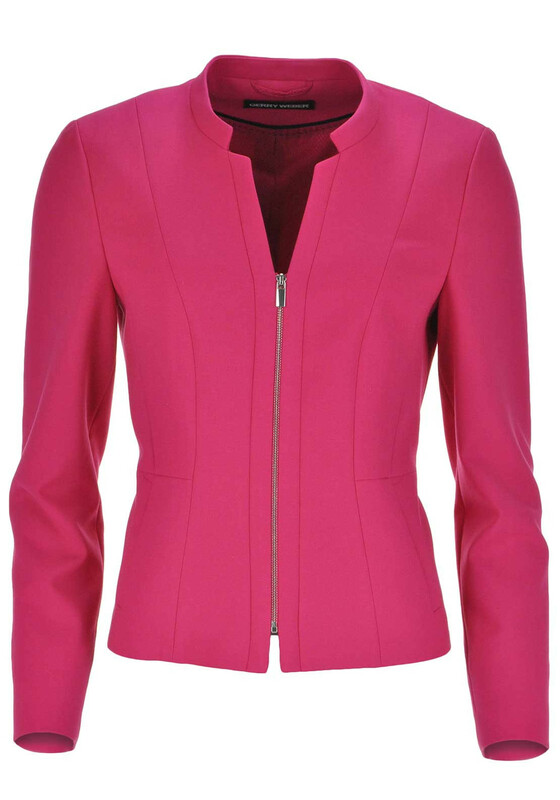 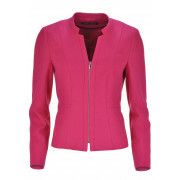 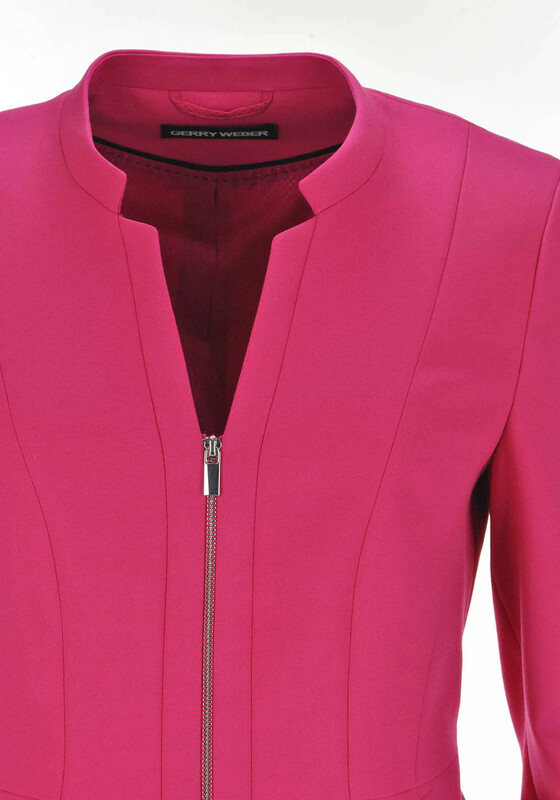 Stunning dressy jacket by Gerry Weber in Pink. 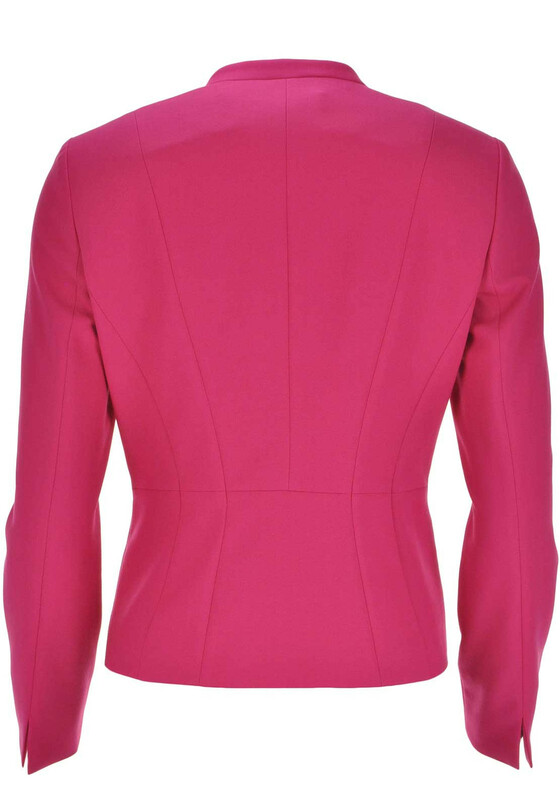 Add some colour pop over a dress or with a skirt for a dressy day or night time appearance. 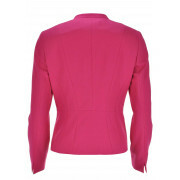 Designed with a beautiful figure hugging shape this jacket is fully lined with full length sleeves. 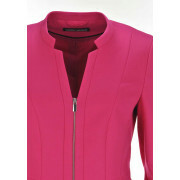 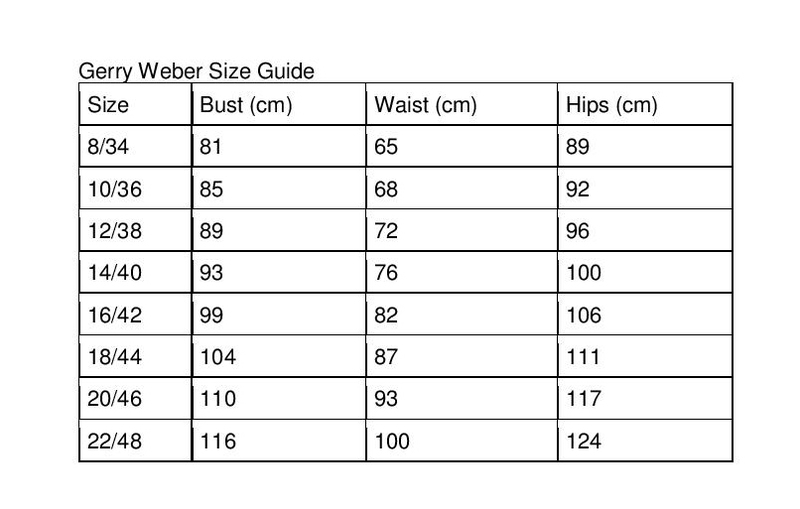 It contains a V shaped neckline and a silver Zip starting in the middle of the bust.